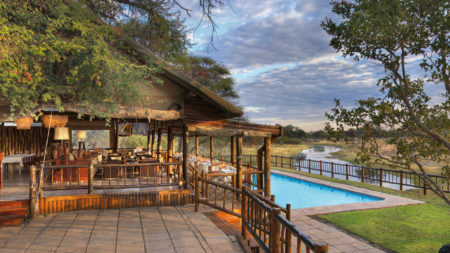 There is simply nowhere better than Botswana for the ultimate safari experience. 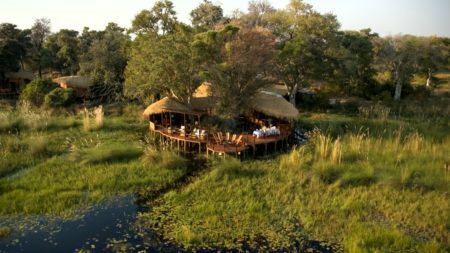 Okavango Delta: this is one of the highlights of the entire African continent, with good reason. 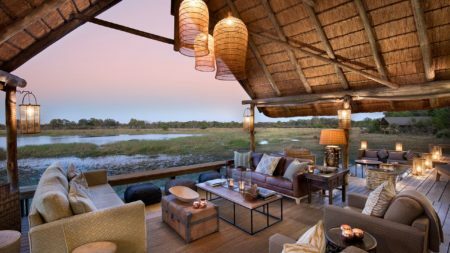 Annual floods bring a tremendous variety of life to this huge oasis in the sands of the Kalahari, producing viewing spectacles like no other. Kalahari Desert & the Basarwa people: an arid semi-desert savannah which supports an eclectic selection of wildlife and is home to the indigenous Basarwa people. Spend time with one of the last few remaining indigenous groups of people in the world and experience their culture and traditional skills. Elephants in Chobe National Park: around 70,000 individuals live in this region and this is one of the very best places to see them in the world. Zebra migration: approximately 20,000 animals migrate between the Boteti River and their summer breeding grounds of Nxai/Makgdadikgadi Pans each year. This is a spectacle not to be missed and well worth timing your visit to see this. Mokoro canoe rides through the delta: one of the best ways to experience the delta is to drift along in a dugout canoe, known as a mokoro. It’s one of the best ways to get up and close with wildlife in a serene and peaceful way. African wild dogs: you are more likely to see these rare animals in Botswana than anywhere else. 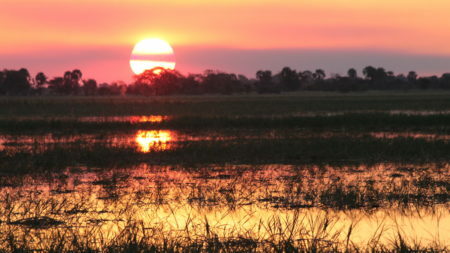 More wildlife than people: Botswana has around 2 million human inhabitants in a country the same size as France. This means vast swathes of unpopulated wilderness and incredible landscapes. Safety: Botswana is one of Africa’s most stable countries with democratic elections held since gaining independence from Great Britain in 1966. Threats from terrorism are low. Low-volume safari-based tourism: the country has actively pursued a policy of low volume/low impact tourism. 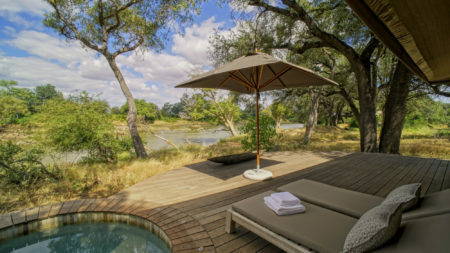 This can mean that Botswana can be expensive, although as every tour we create is bespoke this isn’t necessarily always the case, but it does mean that the country is better able to conserve its wilderness for future generations and it makes visiting without crowds an absolute pleasure. 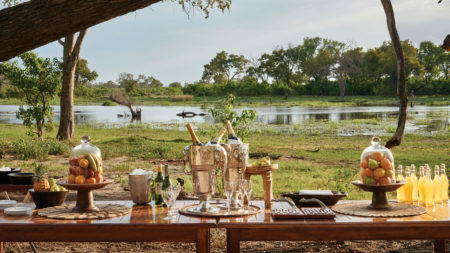 Variety: Botswana offers an incredible range of ways you can experience this country such as on horseback, on foot, on game drives and by canoe. 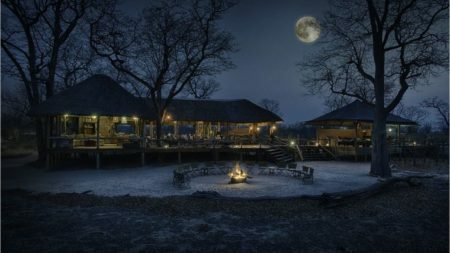 Accommodation choices range from super-luxury eco lodges to mobile camping trips and everything in between. Standards of service: these are generally very high in Botswana. 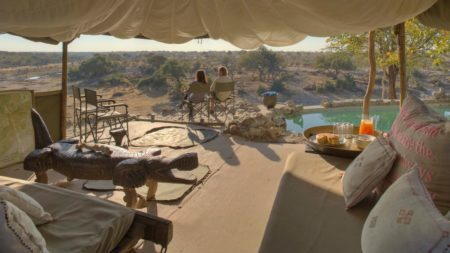 Safaris are recognised as an important source of income for the country and high standards are set and maintained. For Botswana in general: game viewing is best between May and November, particularly from August onwards. This is because although the landscape can look parched and harsh at this time, grasses have either died or been eaten so game viewing is easier. 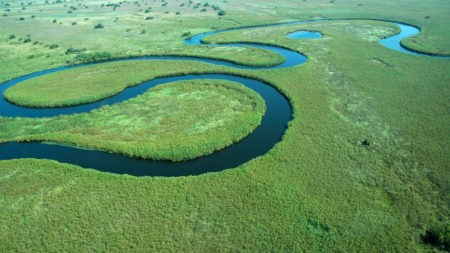 Okavango Delta: this floods annually from April to June so we recommend visiting between May and September. Kalahari desert: game-viewing is better here during the wet season when game is concentrated on the open plains and around the pans. During the dry season you find that the game is very widely dispersed. Temperatures: Botswana is temperate in April and late August/September. May to late August is fresh with clear sunny days but very cold in the evenings and early mornings. From late September onwards it can get very hot with daytime temperatures exceeding 35°C. Once the rains arrive temperatures fall a little however December to March can be very hot and humid. The easiest and most direct way to reach Botswana from the UK is via Johannesburg (11 hours) and then onwards to Maun in Botswana (1 hour 45 minutes) or Livingstone in Zambia (1 hour 40 minutes).